I'm not claiming to be an authority on grassland and global warming but this is my take on it based on my studies decades ago. One of the most significant findings that science has made is that after the initial initiation of life on our planet there evolved a sort of symbiotic relationship between the earth and life. Life itself shaped the evolution of the planet and made it what it is today. It wasn't there ready for us as it is now.After the initiation of life with the first simple cell, there evolved the blue green bacteria that were able to use the carbon dioxide rich atmosphere with energy from the sun by using the process of photosynthesis to store this energy in the form of carbohydrates, giving off oxygen. This oxygen did not accumulate but oxidized the earth, or in other words, rusted it.This took billions of years. Once rusted the oxygen was able to accumulate in the atmosphere while the CO2 eventually reached its present low level with the whole system in equilibrium.The Carbon of the once rich Co2 atmosphere became stored in the earths surface. So it is the earth's grasslands that help maintain this equilibrium. At the beginning of the Miocene, 24 million years ago, grasses first become common. They are at the end of eons of evolution and yet are only transitional. 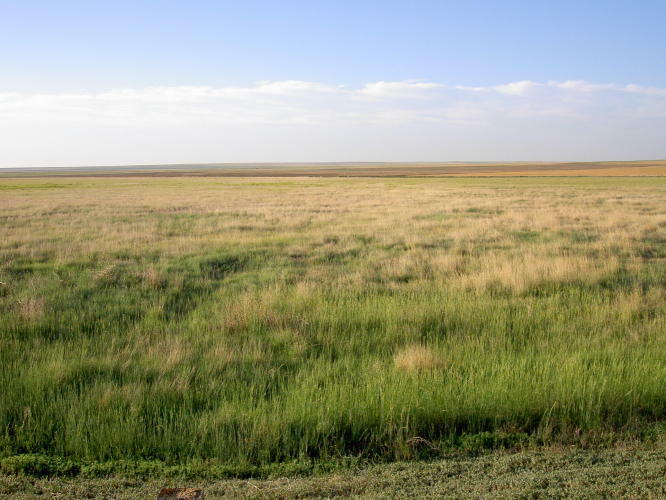 Native Grasslands cover about twenty five percent of the land surface so are an important part of the earth's vegetation.They are usually maintained at the grassland stage of development by rainfall or by fire. There are two classes ,temperate and tropical.They differ from cultivated pastures by their great diversity of species and have evolved and developed over millions of years.In Africa grasslands are called veld,'The Pampas'in South America ,The North American prairies,and the steppes of Central Asia. 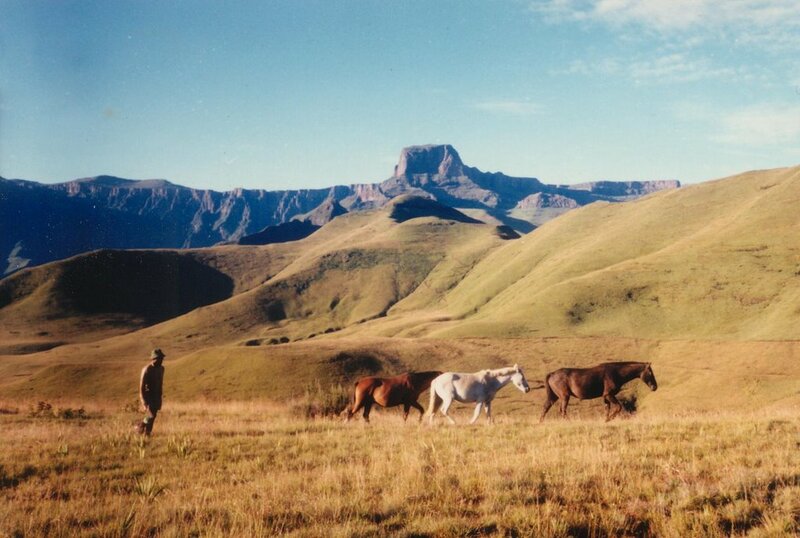 In most cases the grasslands have remained as such because they could not be cultivated. 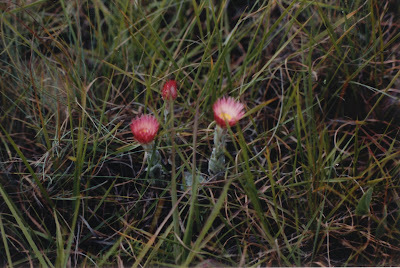 Top Southern Tall Grassveld,South Africa in spring after burning. Note the dolerite rocks preventing ploughing. Little is made of their importance by those concerned with global warming.It's all about forests,hug a tree,but why not kiss the grass?. James Lovelock never mentions them in his book 'The Ages Of Gaia' and this is not a criticism, though their importance in storing carbon is significant. The Carbon is stored mostly in the grassland soil as opposed to forests where it is in the organic matter on the surface of the soil, and in the trees and plants themselves. 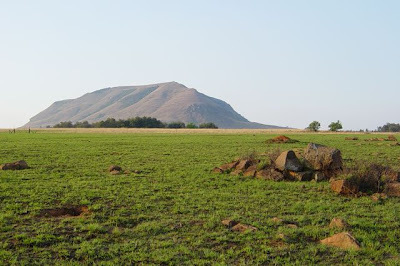 The grasslands that have been destroyed have lost a large part of their soil organic carbon(SOC) through mineralisation and lost it to the atmosphere as CO2. 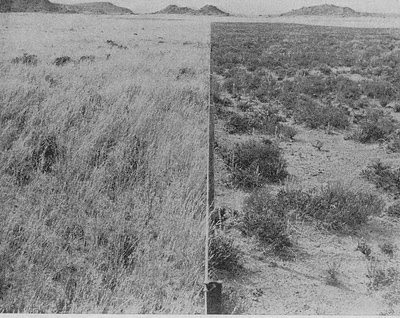 When the land is returned to grass it will gradually accumulate carbon but it would take hundreds of years to reach a point where it is unable to hold any more SOC. Work at Rothamstead in the UK showed it would reach this point in about 200 years. There is a strong correlation between Nitrogen and Carbon with a ratio roughly 10C to 1N. This is very constant and independent of soil treatment, so applying Nitrogen fertilizer may more quickly regenerate the SOC in the grassland.The advantage would be offset as the production of nitrogen fertilizer itself would use considerable energy. Old Woodland had a C/N ratio of 9.5 and old pasture also 9.5. However SOC does vary from one soil type to another and is affected by temperature and rainfall. The higher the rainfall the higher the SOC, but the higher the temperature the faster the mineralisation and the lower the SOC. 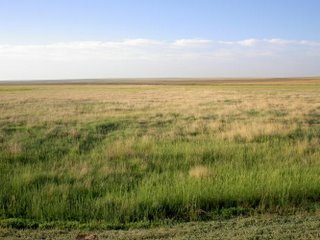 New research suggests replacing grassland with forests to combat global warming, where climate permits, may be a waste of time, especially if those trees are at high latitudes,even though it can increase the SOC. This in turn may increase the heat absorbed because of the darker colour of the vegetation.In an earlier post on this blog the same was shown when grassland was overgrazed and replaced with darker grazing resistant bushes.See also the effect of invading trees and shrubs. Close up of Themeda-Festuca Alpine Veld.